Dr. Weidong Ma (马卫东) is currently an Associate Researcher of Microsoft Research Asia. 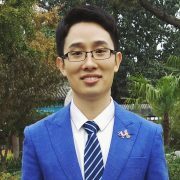 His research interests include machine learning (mainly on deep learning and reinforcement learning), game theory (focus on mechanism design for cloud computing, scheduling etc. ), combinatorial optimization. He got his PhD degree from Chinese Academy of Sciences in 2013.